However, most people have no idea about how to get published in top blogs and publications. Getting published in popular online media is a challenge as there is a cut-throat competition. Most marketing strategies also fail because they lack discipline, resources, planning, and research as well. The statistics speak for themselves. 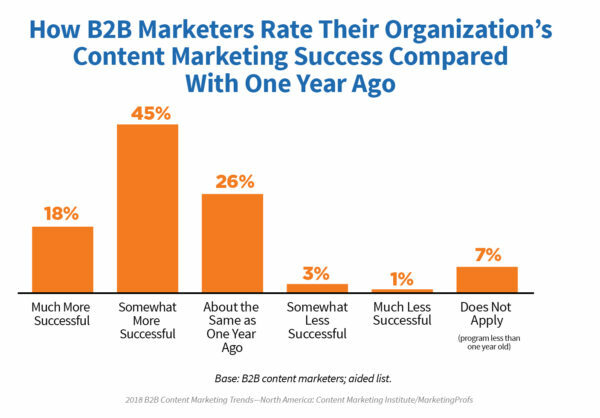 Only 18% of B2B marketers surveyed in 2016 report that their organization’s content marketing was much more successful than the previous year while 45% said it was just somewhat more successful. 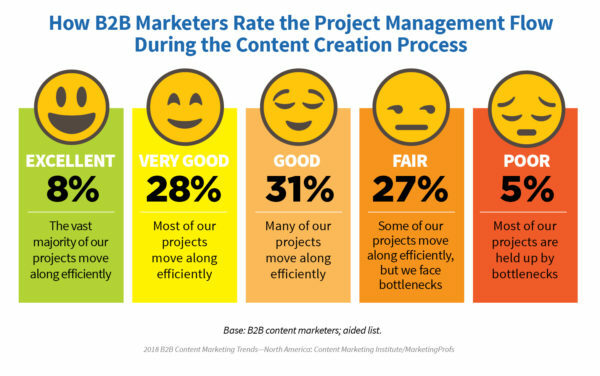 Only 8% of B2B marketers surveyed in 2016 rate their project management flow during content creation as excellent while 27% feel they faced bottlenecks during the process. Only 30% B2B marketers considered their organization’s content marketing is effective. According to 2017 Content Management & Strategy Survey, only 18% of respondents feel their the organization has the right technology in place to manage their content marketing efforts, while 45% have tools, but aren’t using them to their potential. Almost two out of five (37%) reported their organizations have not acquired the right tools. While 92% of content marketers view content as a business asset, only 46% content marketers have a documented strategy for managing content as a business asset. Getting maximum exposure for a content still remains the prime factor among other factors for measuring the success of a PR campaign. Though an increasing number of companies and PR firms are embracing content marketing tactics, most fail to generate the desired results. Several factors can stop you from getting published in top blogs and publications in your niche. Lack of Documented Strategy: Just like any other business marketing, content marketing also needs a well-defined strategy. It is required to keep up with the ever-changing nature of online media. Self-Promotional Content: Most marketers tend to think content marketing is about them or their brand which is one of the worst mistakes. In the end, it all boils down to providing content that is valuable to your target audience, not your brand. Irrelevant and General Content: No content marketing campaign can work with irrelevant or run-of-the-mill content. Only relevant and engaging content can stand out in the highly competitive digital space. No Customer Persona: If you don’t know what your target audience is, where they hang out, and what their likes and dislikes are, your content is bound to fail. Creating Too Much Content: Content oversaturation not only turns off journalists and editors but also your target audience. Adding more content isn’t going to help you get more readers. You need quality, not quantity. Wrong Promotional Channel: Promoting the content on channels where your target audience hangs out will generate maximum exposure. So, a thorough research is required before going ahead with a content marketing plan. With all those stats and explanation on why a content fails, let’s get back to the main point. Your content needs to be creative, engaging, and audience-centric, not brand-centric. However, in PR industry, clients often put tremendous pressure on you to quickly get published in high-profile publications, making the process very challenging. A report reveals that over 2 million blog posts are published on the Internet every day. Getting your content liked and shared in such as crowded digital space is tough. One of the most common approaches is to build an interactive relationship with journalists and editors from the top publications. Though this is an excellent tactic, it is often not adequate to quench your content marketing thirst, especially if you are dealing with multiple clients from different niches simultaneously. Despite developing a good relationship with journos, your content may still get rejected or overlooked. You need something that not just speeds up the process of getting published in top publications but also decreases the chances of your content getting rejected. You can accomplish this through publication-tailored content. What is Publication Tailored Content? A publication-tailored content strategy comprises a collaborative relationship between your content creation team and the editors of the publication or blog. Rather than pitching your ideas or articles to the journalists, it focuses on getting them involved in the content creation process right from the beginning. As they have a fair idea of what their audience wants, it becomes easier to produce a piece of content that suits their readers. This strategy is relatively fast and result oriented compared to most conventional content marketing tactics. There are a more than few ways to collaborate with your publishing partners. You can get your ideas approved by the editor or ask them to share theirs on the trending topics. They can also help you design the content according to their layout and presentation requirements. They can provide valuable feedback as well. Creating publication-tailored content may sound straightforward in theory, but it works only if both parties want to collaborate willingly. It is not about demanding the publisher’s help to promote your brand content. Instead, you are here to offer your content creation skills for providing worthwhile content to their readers. So, you must approach them accordingly. First, browse their website thoroughly to get a general idea of trending topics and the type of content getting published. It will provide you with enough ammunition to schedule a kick-off call or shoot an email to the publisher. Ask specific questions. For example, you should ask what the most popular topics are right now or which type of contents gets maximum exposure. As it turns out, most people go online for inspiration (20%), others want to improve their mood (19%) while other again seek to update socially (17%). Ask them about upcoming issues they are going to cover and how you can contribute to those. Is there any specific content segment they are struggling to cover? If so, how can you help? They are more likely to share suggestions regarding content length, layout, writing style (casual or professional), usage of visuals such as videos and images, text and font color and types, and publishing timeline. Whatever is the case, make sure the content is suitable for the publication’s target audience. Do your research. If your article aligns with the publication’s website, the editor is more likely to accept it. You can also find out which topics related to your brand have the highest rate of engagement such as comments, likes, and shares. Keep the content creation process flexible. Let the editor or journalist decide how much they want to contribute to your content. For example, we have worked with editors who are willing to participate in the processes from scratch. They often share ideas, outlines, and even resources with us. Some people, on the other hand, may let you take full control of the wheel and help you only when you are stuck. In such case, you may just need to get approval for your content ideas, layouts, outlines, and design iterations. In any case, it is better to figure out a work plan beforehand. Even if the editor is happy to help you at every step of the way, you have to do all the legwork. Running to them for small changes and edits isn’t going to make you a valuable resource. It is your responsibility to check whether the story is good enough to meet your goals or is the design and layout compliant with general submission guidelines and target audience. You must check the facts and make sure there is no plagiarism before sending the draft over to the publication. 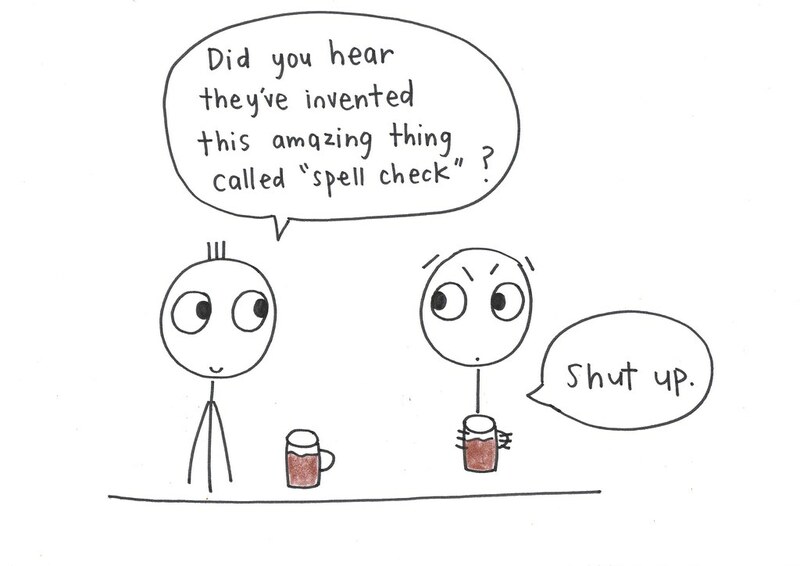 Be sure the content is free of typos and silly writing mistakes. The publication’s editor isn’t going to proofread your article. You can hire a professional editor or ask one of your team members to go over your draft. The bottom line is, don’t go overboard with the co-creation process. You need to be open and responsive to the editor’s suggestions. The editors or journalists should be able to see your sincere efforts through your action. So, avoid making the same mistake twice. Focus on writing authentic content only. Back up your claims or arguments with research and data from reliable sources. You can ask the publisher if there are any specific resources that they would like you to use. You can also include personalized stories but check with the editor first. Sometimes, their publishing guidelines may not allow you to add personalized stories or use rich graphics in your article. Proving your value to the publication once isn’t going to be enough. You need to keep nurturing this relationship always, and the best way to do it is not just through frequent conversations but by providing better content again and again. Learn about the current trends and topics that align with the publication’s target audience as well as your brand. Keep the communication channels open. Show your interest in their work regardless of whether it is relevant to your brand or not. Another way is to engage with them on social media platforms or drop in an email to check up on how they are doing. You can talk about non-work-related matters as well and maybe meet for a cup of coffee sometimes if possible. To improve your chances of getting published in popular publications, I would always suggest thinking from the editors’ point of view. Their answers shed light on what do editors think and can significantly help you improve your content quality as well as the approach to getting published on popular blogs and publications. One of the most important factors that we look for at CMI is whether or not the content submitted to our site is actionable. If a reader can walk away with ideas that they can implement right away, they’ve got a better chance of acceptance. One more thing. Don’t just tell me, show me. Include relevant visuals. The most important thing I look for is relevance. I have to ask whether my audience will care about the topic? If it fits within our covered topics and it’s well written I’ll accept it. Your work as a guest blogger starts long before sending that pitch email. It should start with research. Find out what your target publisher guest blogging guidelines are, what is important for them and make sure your article follows them. Read the content they publish. Pay attention to how it is structured, what they focus on, and most importantly think of how you could bring value to their audience. If you want to take it a step further, search for your target publisher on social media and build a relationship. One thing to keep in mind when writing your pitch email is, it’s not about you. It’s about how your content can help your target publisher’s audience. In addition to well-written and insightful copy that addresses high-level PR and communications issues, our topic priorities are centered around content clusters—a set of topics that we have identified as most valuable and most searched by our audience. We strive to make sure all of our content addresses at least one (if not several) topics among our clusters, and we see the best matches earning the most views and shares. We then crosslink our articles back to the main posts in those clusters to boost our SEO and search returns. But regardless of the cluster match, we chiefly look for the traditional values that make for great content—great writing and thought-provoking insights. Publication-tailored content offers a win-win situation for all parties involved including the publication, the audience, and the brand. That’s why it packs such a powerful punch if executed judiciously. Here is how it can benefit everyone. Target audience gets the best value for their time and money as they get the most authentic and reliable information through publication-tailored content. They can also experience better and more humanized brand engagement as this strategy takes the storytelling to a whole new level. Publication-tailored content provides journalists and editors with pitches that aligned with their audience and publication guidelines. They don’t need to spend hours going through irrelevant pitches every morning. Instead, they can focus on more productive tasks. The publication also gets high-quality and engaging content without spending a penny. Most publication-tailored content is created exclusively for the desired publication. This exclusive content provides the publisher with a competitive advantage over its rivals. In a world, where most editors and journalists struggle to find reliable content resources, this strategy provides them with a steady flow of highly relevant content. The wide variety of content including blogs, podcasts, articles, infographics, and mix media helps diversify the audience base. The publication can tap into different audience segments using the publication-tailored content. Publication-tailored content generates higher engagement which in turn creates better return-on-investment ROI. It also enables your brand to reach the target audience that is more likely to read, like, and share your content, resulting in unparalleled publicity. When it comes to SEO, links from high-authority sites are the golden ladder to success. With publication-tailored content, it becomes a lot easier to generate backlinks from credible websites. Getting your articles published on the top websites firmly establishes you as the thought leader in the industry. The credibility of your brand gradually skyrockets. As they get authoritative information, your target audience often shares this information with their friends, peers, and colleagues. Thus, you can tap into a vast audience that will keep coming back for more information. Publishing quality content on the top website can maximize your reach exponentially. The publication-tailored content strategy may help you melt the two highest barriers standing between your content and the coveted spot on the top publisher’s website, stringent publishing guidelines and extremely busy editors and journalists. As a result, it will speed up publishing and editing processes and increase the likelihood of your content getting accepted. However, publication-tailored content isn’t a quick fix and shouldn’t be treated as such. We sure hope these tips will help you come up with a new content marketing strategy or change your old one. Thank you for including my thoughts, Taral! Honored to be in such a great company.